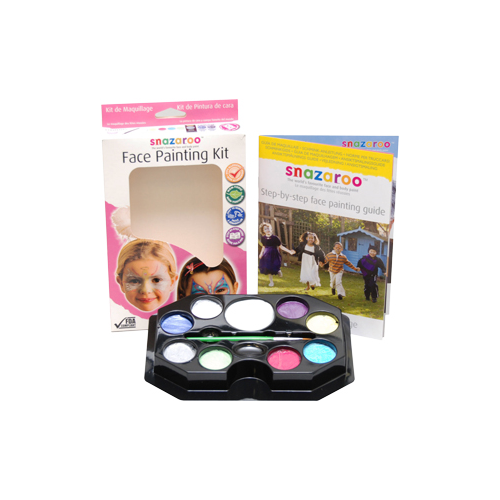 The pastel colours in this kit make it a must-have for any little girl's party. 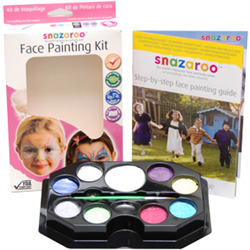 Contains 2ml White, Metallic Silver, Sparkle Blue, Sparkle Pink, Lilac, Turquoise, Pale Green and Pale Yellow together with a brush, a sponge and a step-by-step face painting guide. Paints up to 50 faces.